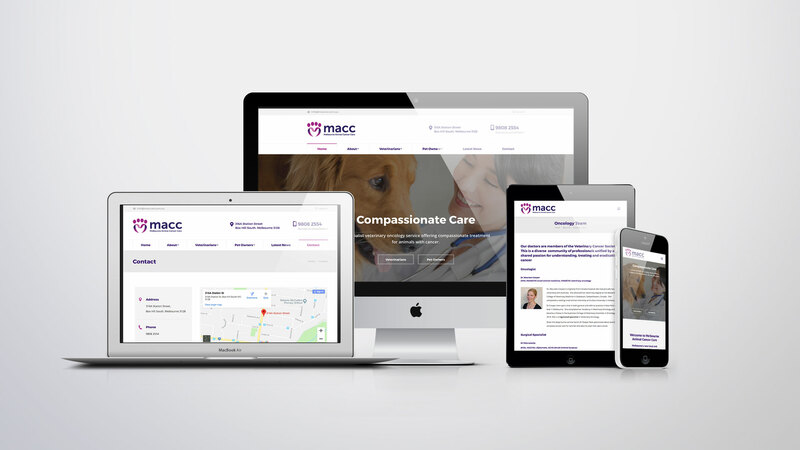 Melbourne Animal Cancer Care (MACC) is a specialist veterinary oncology service offering compassionate treatment for animals with cancer. When creating their identity it was important stay away from the stereotypical warm and fuzzy veterinary concepts. 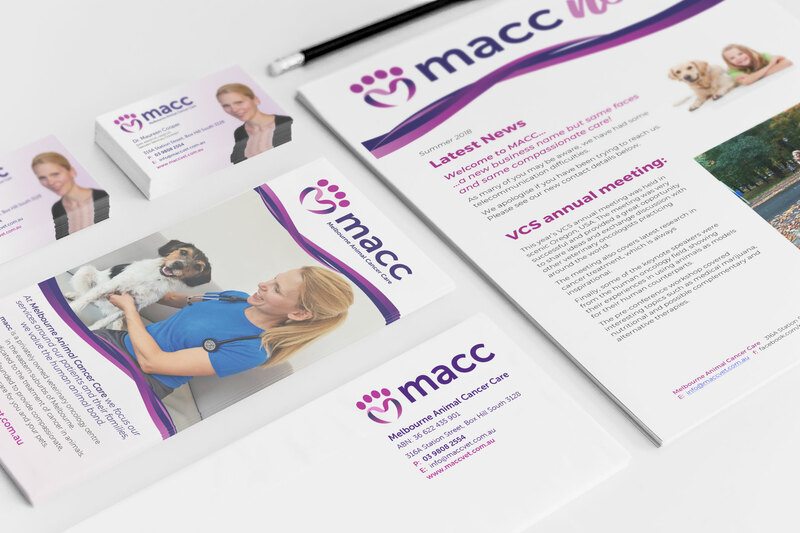 The logo needed to convey their specialist medical expertise balanced with their approach of compassionate care.